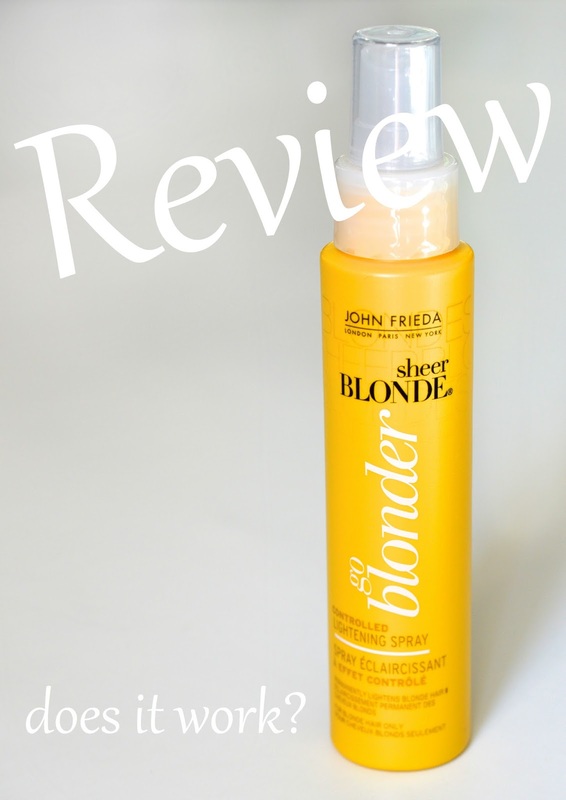 Earlier this summer I decided to try out the "Go Blonder Lightening Spray" from John Frieda's "Sheer Blonde" range. I was feeling some lighter highlights, but didn't want anything too chunky or salon-like. Since my hair is naturally dark blonde, I figured that the product would work just fine. I've never actually dyed my hair before, so it was my first time making a permanent change. I don't like John Frieda's shampoo and conditioner very much since I find that the shampoo feels like plastic, and the conditioner is full of slippery silicones. That being said, I've heard amazing things about some of their other products, such as the iconic Frizz-Ease line. This lightening spray is pretty much a heat protectant, mixed with a touch of bleach and some citrus and chamomile extracts. The product is not suitable for medium brown, or dark coloured hair since it would turn rather orange. 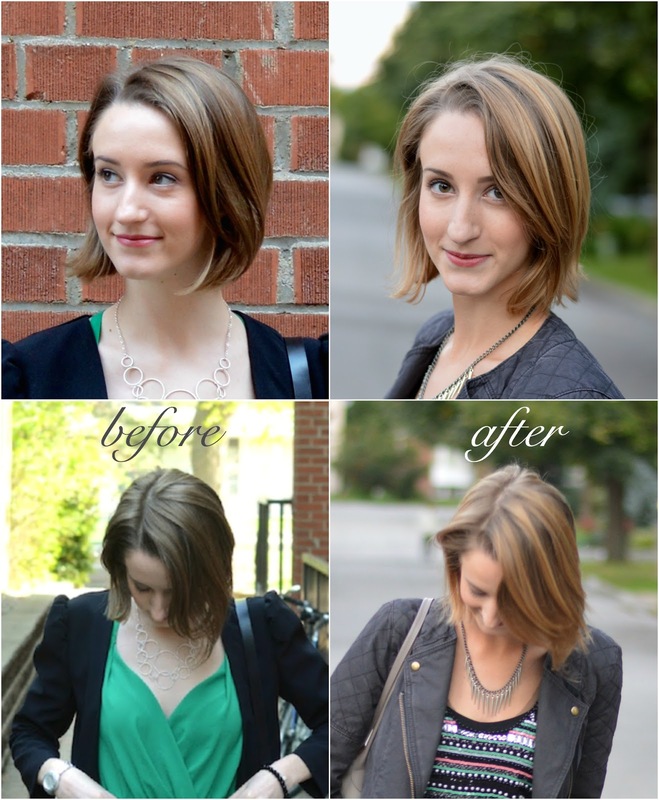 You can see the full product details on the John Frieda site here. I used the spray a few times over a span of two weeks to build up the intensity of the highlights. I strategically applied the product onto the top layer of my towel-dried hair, concentrating it a bit more on the bottom half versus on the roots. I loosely combed through with my hands to evenly distribute the product, then continued with my typical 2 minute blow-dry. The directions state "the more heat you use, the greater the lightening effects". I don't typically use hot tools, but if you were going for an ombré style or more defined highlights, I'm sure some extra heat would help. For touch-ups, I'll apply a few spritzes to the top half of my head to lighten up the roots. When first building up the base colour, I'd recommend using about 10 sprays max. throughout your hair. For touchups, use about 5-6 sprays (depending on your hair colour and desired highlights). The results are exactly what I was looking for - noticeable highlights, without looking fake or overdone. For a drugstore product thats around $10, I couldn't be more pleased.